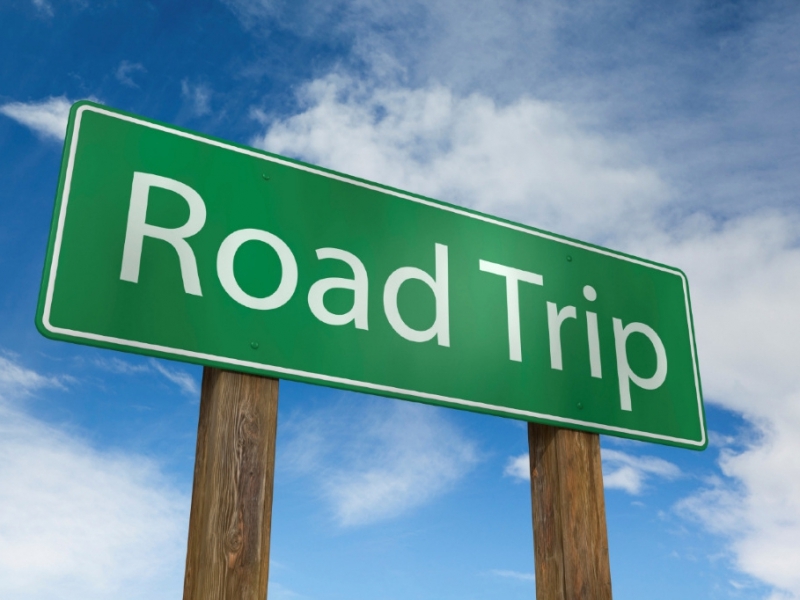 In my last posting, I wrote about our drive to South Bend, Indiana for our granddaughter’s graduation from Notre Dame University. But it just wasn’t Notre Dame. We made it into a bona fide road trip in order for our 11 year-old granddaughter to see two more campuses: the University of Illinois (Joanne’s and my alma mater) and Northwestern University (our sidekick Tim’s alma mater). 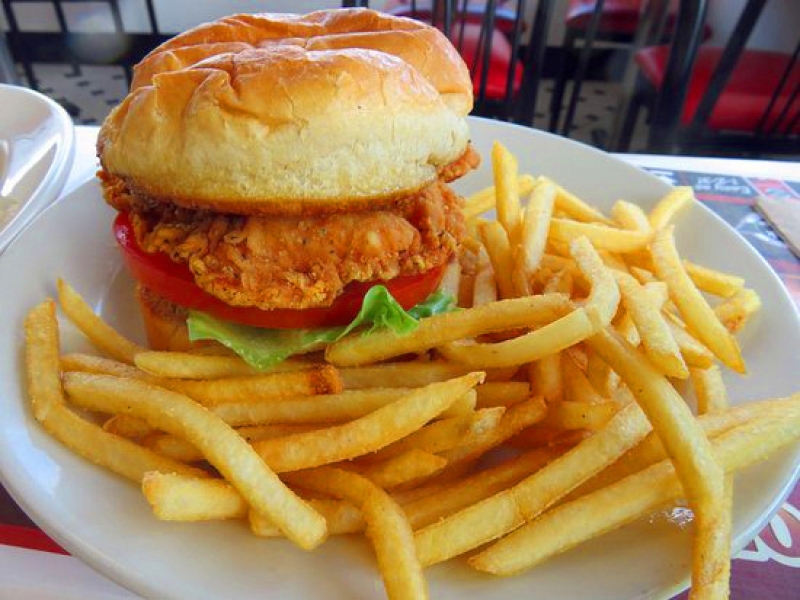 We always eagerly look forward to a big and important evening dinner, but our daytime eating is just that…. 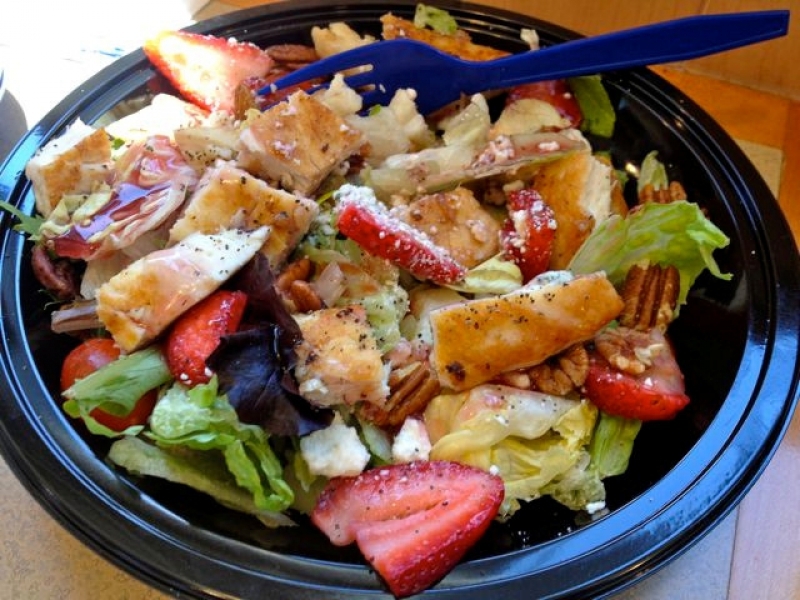 EATING, not dining. Full disclosure: A few weeks ago, while pushing my shopping cart around Lund’s grocery store, a Salut customer caught me red-handed with a big jar of KRAFT CHEEZE WHIZ in my basket. So it should not surprise you that I also like McDONALD’S. 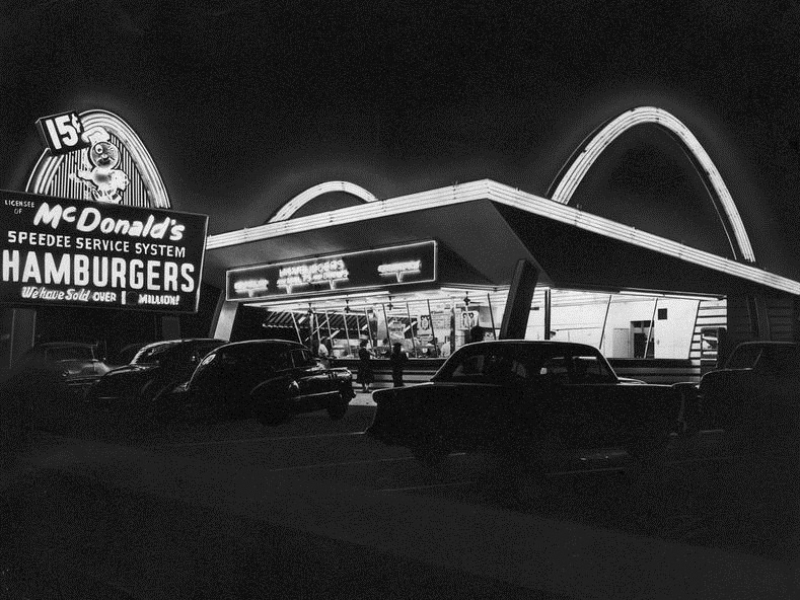 And so it was that every morning started out with a breakfast stop at the Golden Arches. 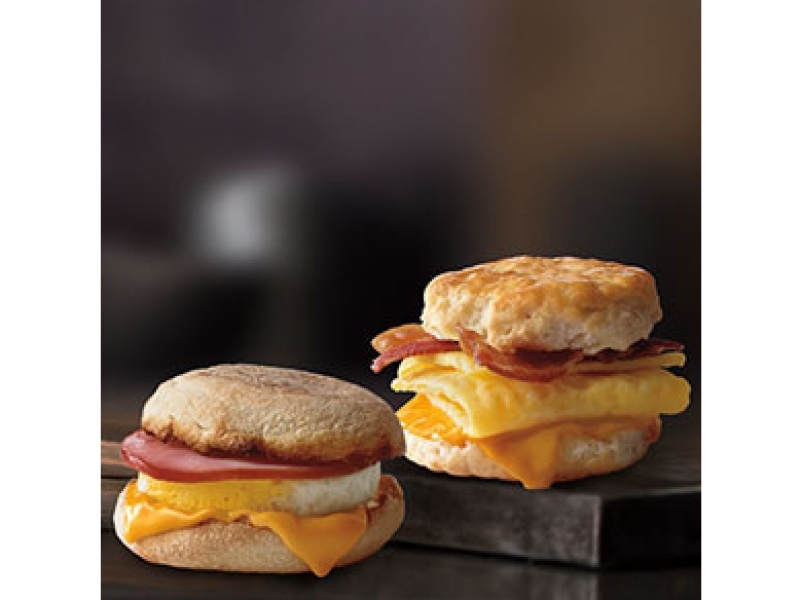 Our granddaughter always ordered pancakes; Joanne and I always ordered Egg McMuffins. It doesn’t stop there. 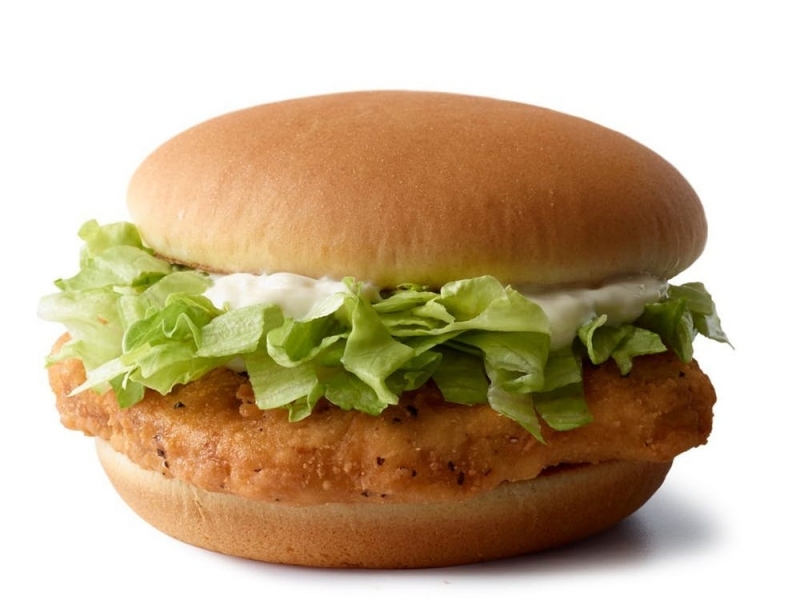 We’d also stop at McDonald’s for lunches of burgers or grilled chicken sandwiches…and Egg McMuffins, which are now part of their Breakfast All Day menu. 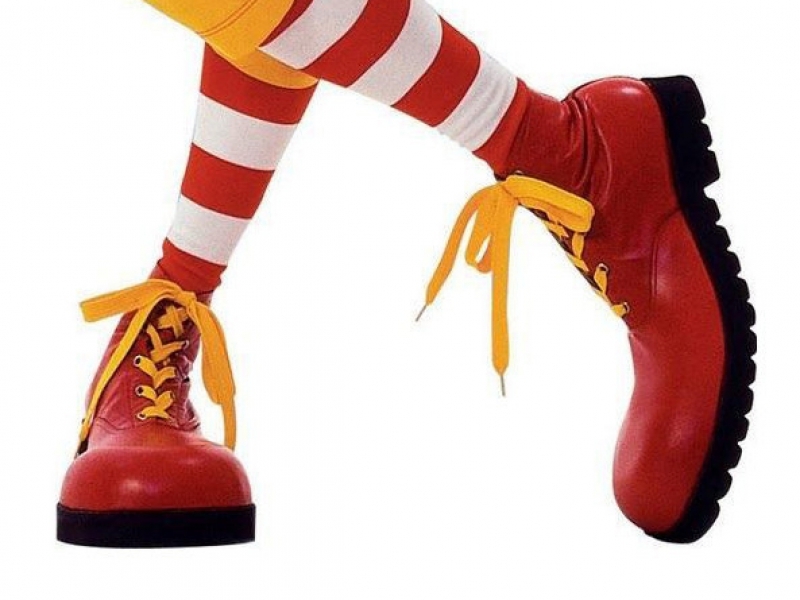 McDonald’s is re-branding their look all over the Midwest (and probably around the country and maybe the world). It’s a NICE LOOK and FEEL: clean, warm and understated. 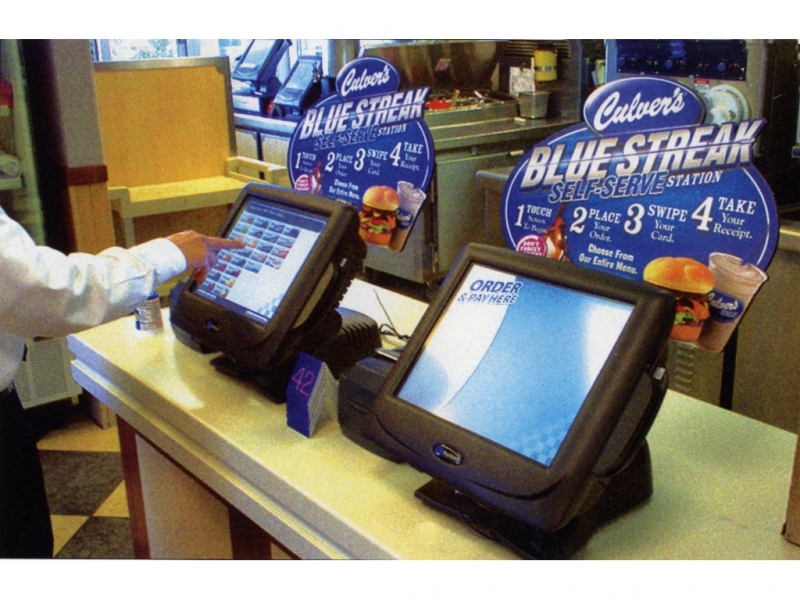 And not only is the company modernizing the look, they’re streamlining their ordering systems. 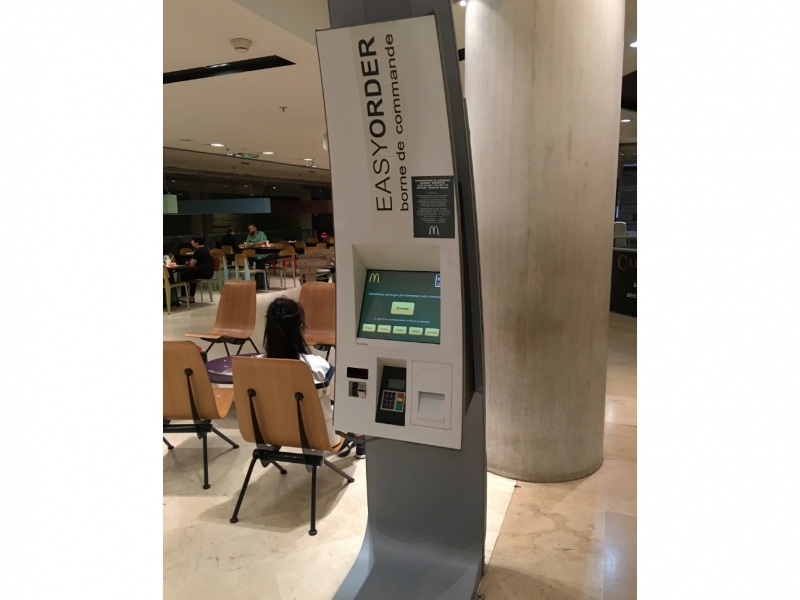 Two years ago, Joanne and I were at the Louvre in Paris and grabbed a bite at McDonald’s in the museum’s food court, only to be surprised and confounded by the computerized ordering kiosks. Well, I’m here to tell you that two years later, they’ve come to BARABOO, WISCONSIN! 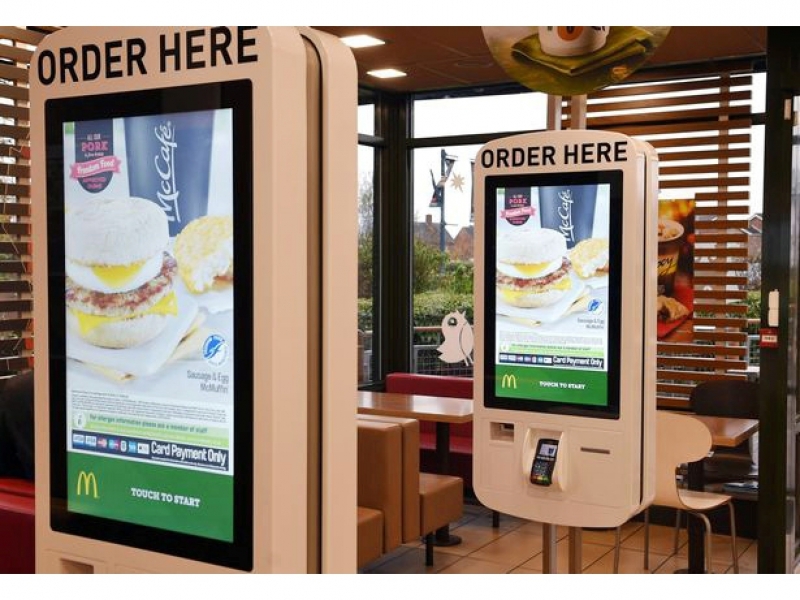 There goes more than a few minimum wage jobs. And Now ... Baraboo, WI. 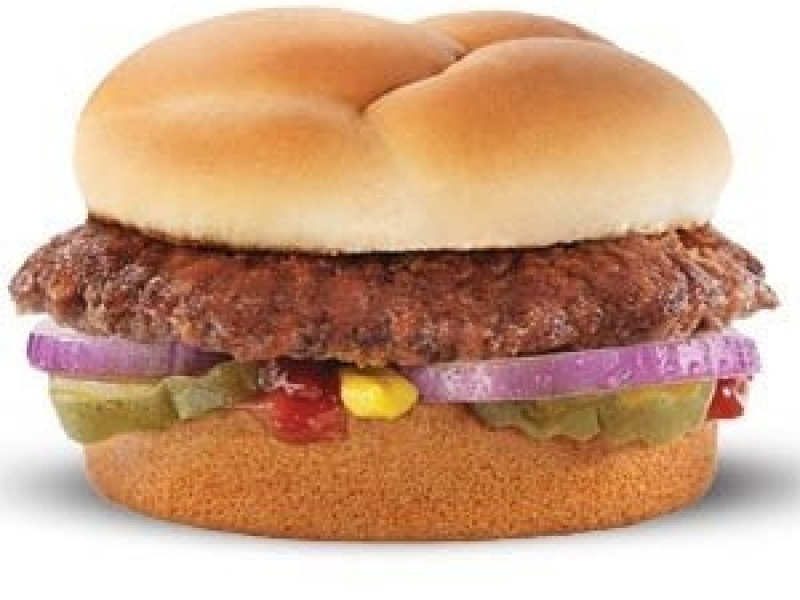 I like the food and the price, and I like the speed and the cleanliness of McDonald’s. But perhaps my “like” goes a little deeper than that. 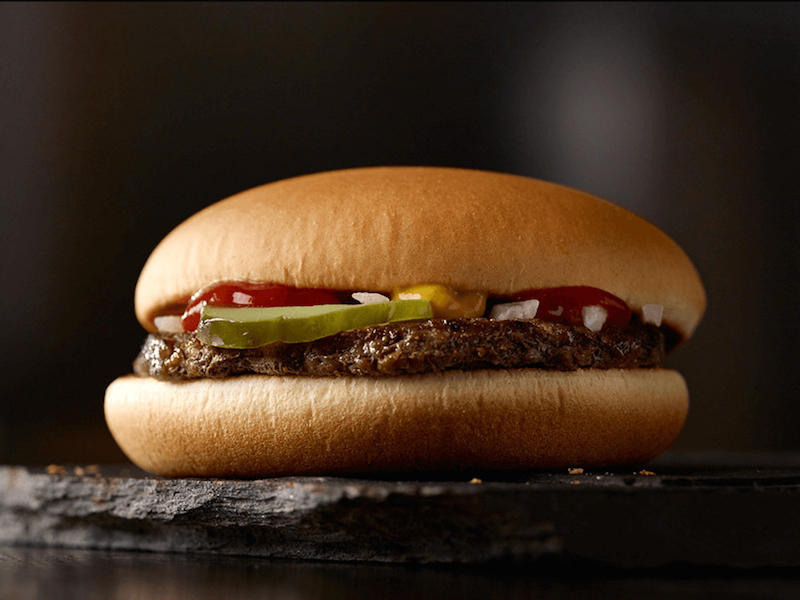 You see, while Joanne and I were students in Champaign, Illinois, a new joint called McDonald’s opened up, and soon it became the go-to spot to “chow-down” on 15 CENT HAMBURGERS after a night of revelry – and not just two or three, but sometimes five or six. Beer does wonders for the appetite. 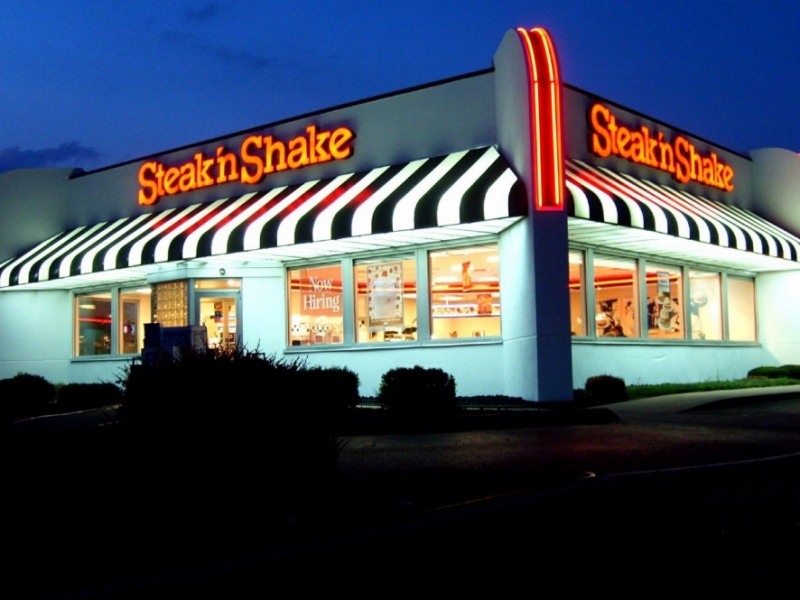 Another piece of nostalgia grabbed me on the trip: STEAK ‘n SHAKE. 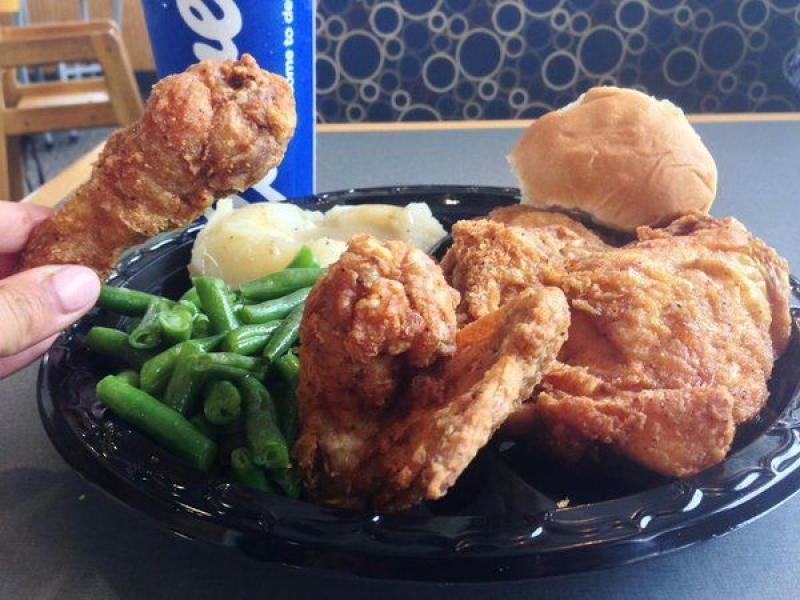 As a kid growing up in Kewanee, Illinois, my Uncle Haydn would sometimes drive my mom, dad and me down to East Peoria for a curb service supper there. Haydn drove because we didn’t own a car. High School Days ... East Peoria, Ill. 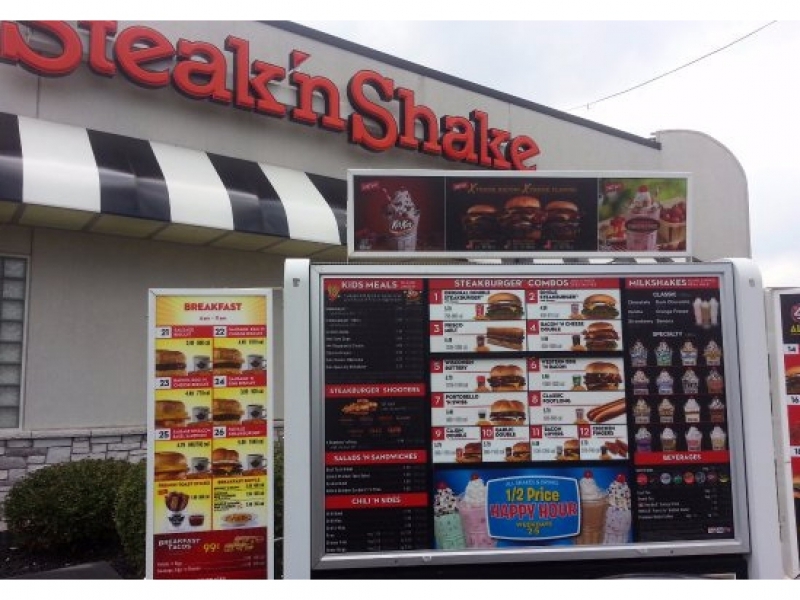 So when a Steak ‘n Shake popped up as we drove East across I-80 in Indiana, of course we HAD TO STOP. Oh, how times change. 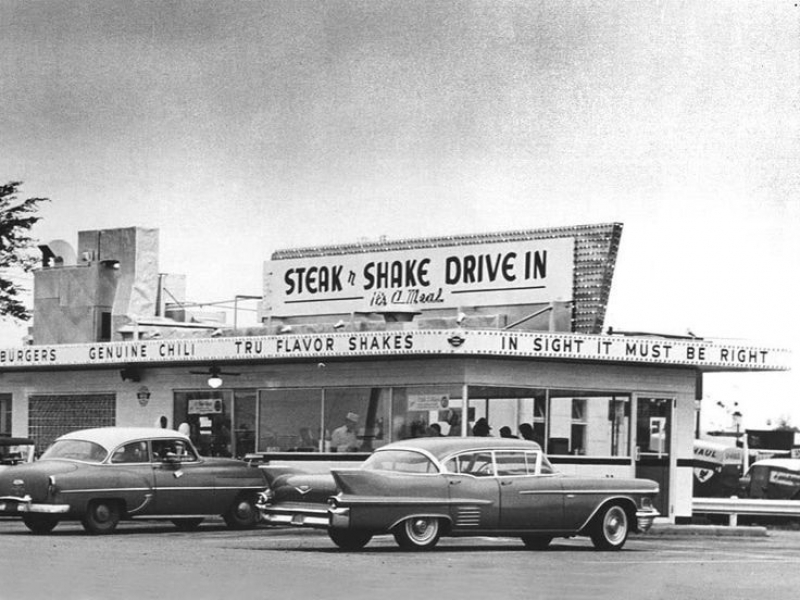 There was no more curb service, no car hops – just a drive-thru. 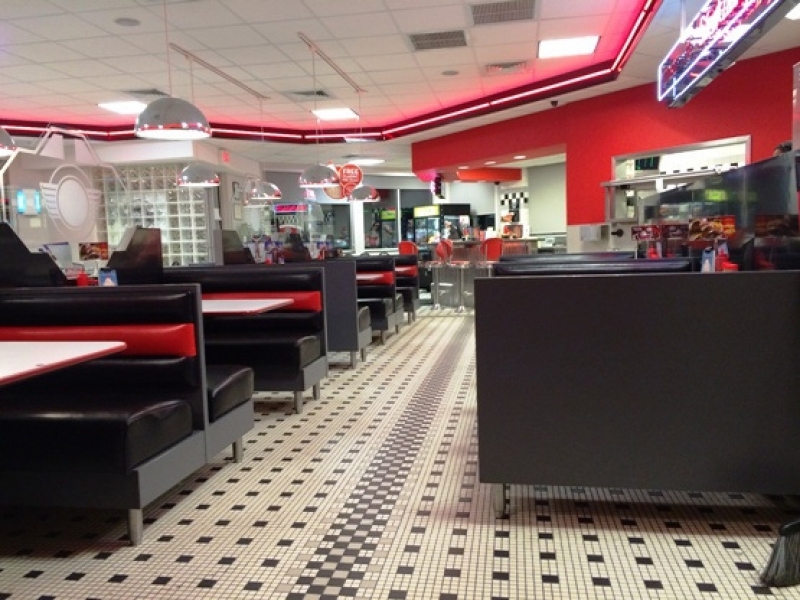 The interior was dolled-up in bright red, black and white. And I have to say, it had a bit of a hard edge to it, not very warm and comfortable. 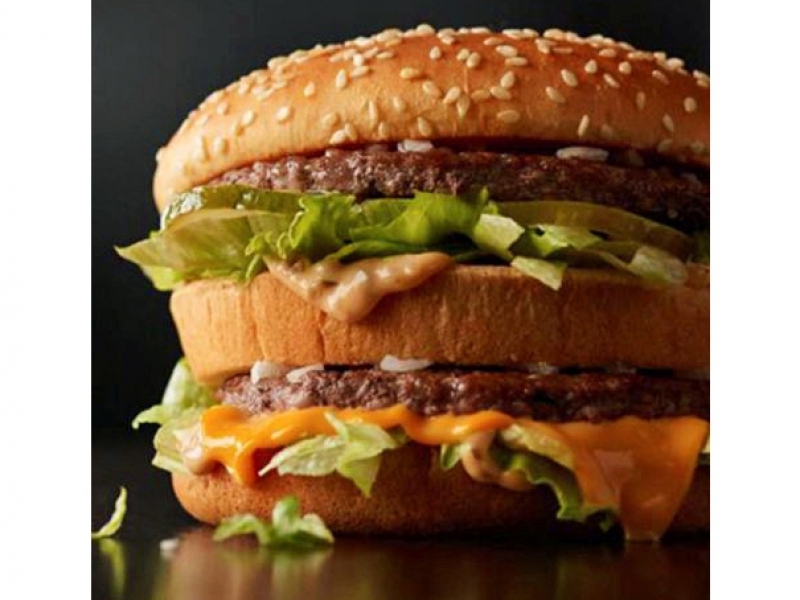 Remarkably, though, the menu content was much as I remember from my childhood: single, double and triple “steakburgers,” the single weighing in at 2.2 ounces, just a bit bigger than McDonald’s 1.8 ounce patty. 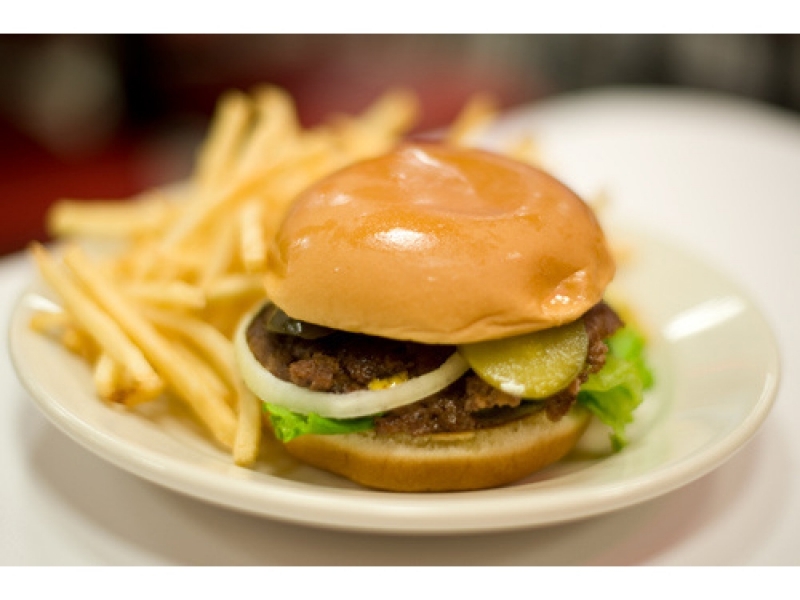 The smallish thin burgers cook faster than the thick 8-ouncers we serve at SALUT and PITTSBURGH BLUE. 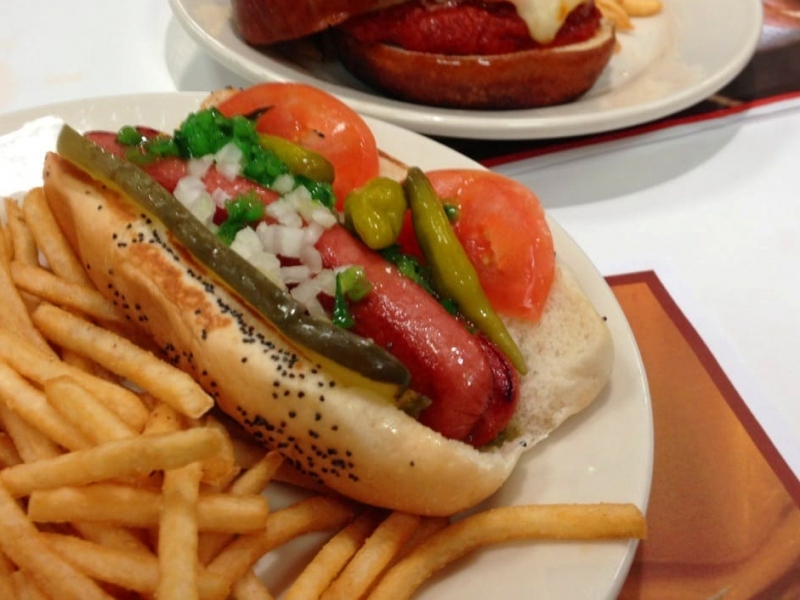 A pretty good rendition of the iconic Chicago hot dog is on the menu for $4.99, as is a Crispy Fried Chicken Sandwich at $5.99. 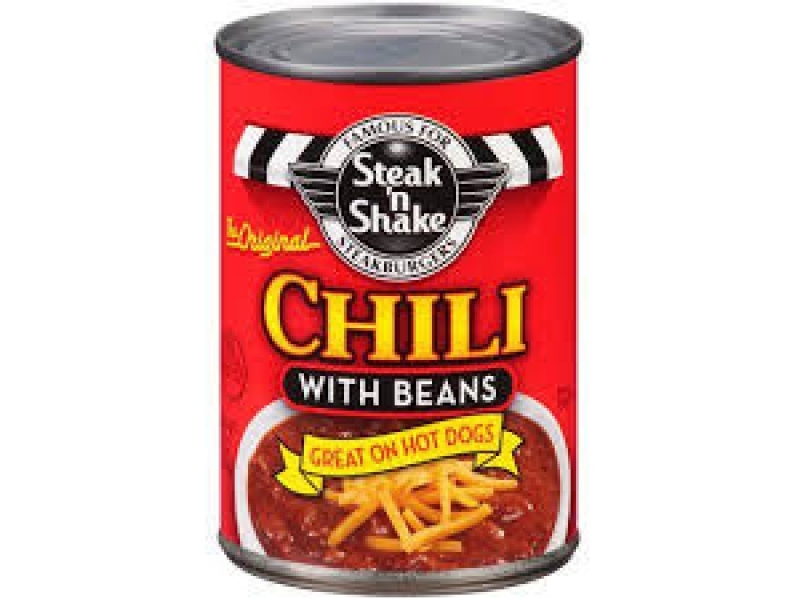 One thing that I remember is the Steak ‘n Shake Chili. It doesn’t seem to have changed at all. And it’s not simply a ladle full of glop “whumped” into a bowl. This is chili treated with RESPECT, finally getting its rightful platform. 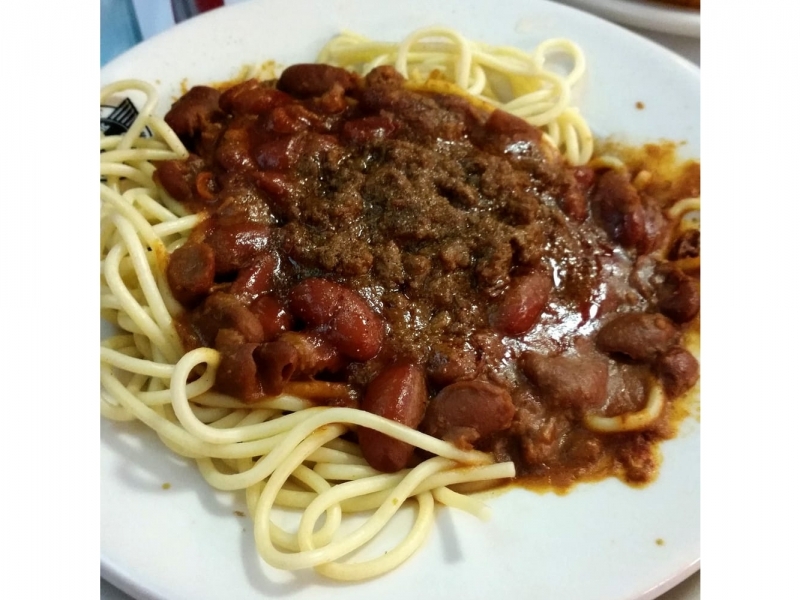 You can order it CINCINATTI STYLE (look it up); or as a CHILI MAC over spaghetti (a bargain at $3.99); CHILI SUPREME with additional chili beef for $5.95; and CHILI DELUXE, with chopped raw onions, Jack and Cheddar cheese at $2.99 for a cup. 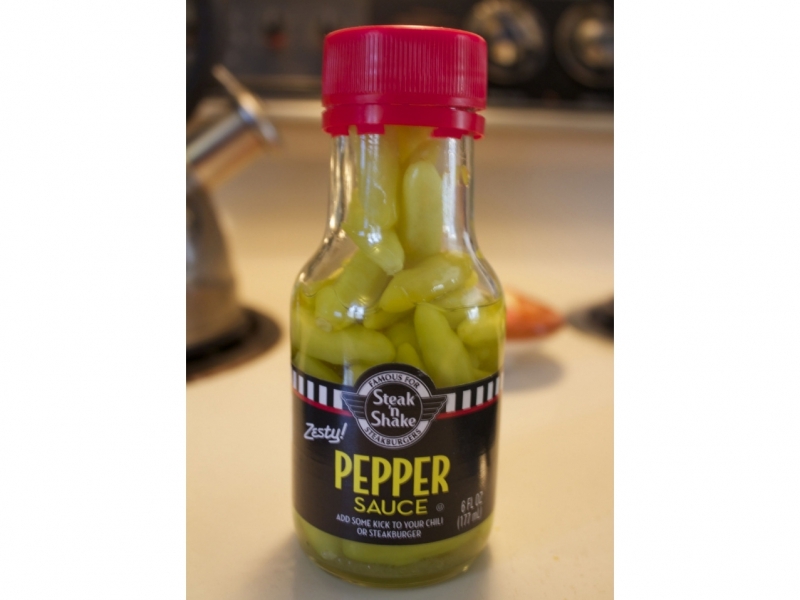 A bottle of vinegar-based HOT PEPPER SAUCE proudly sits on every table. 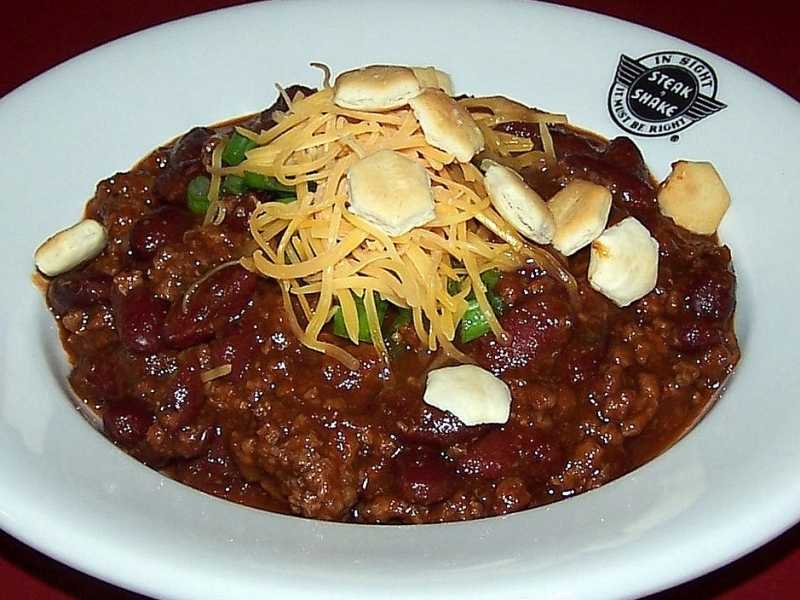 Douse your chili with more than several drops. 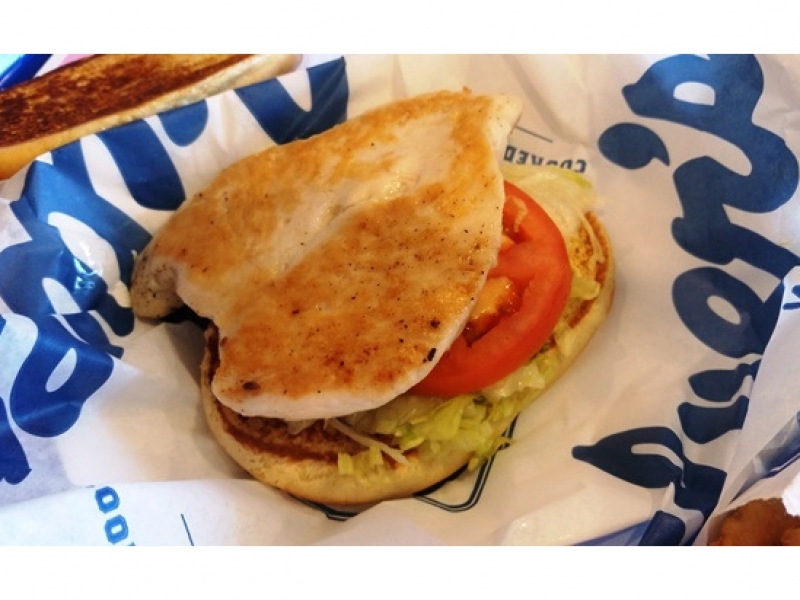 Don’t be a chicken – DOUSE IT! 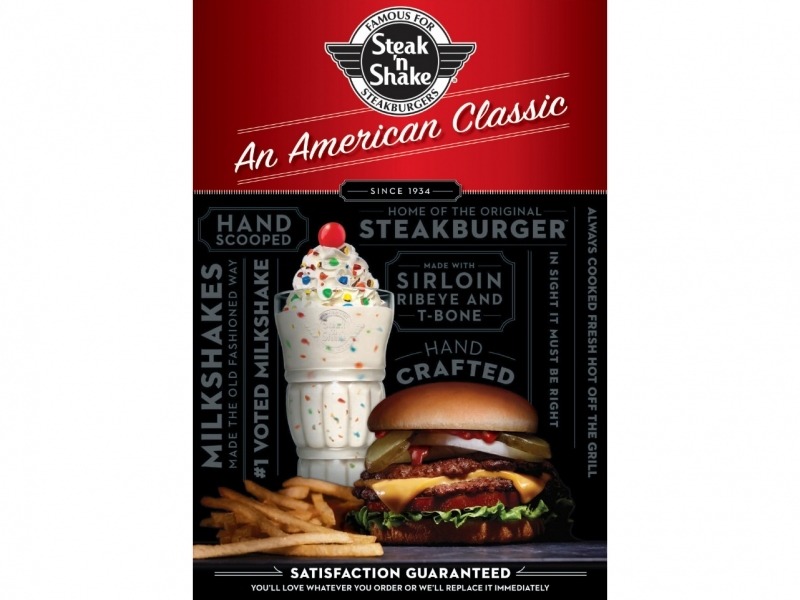 At the checkout counter, you can buy Steak ‘n Shake-branded china. 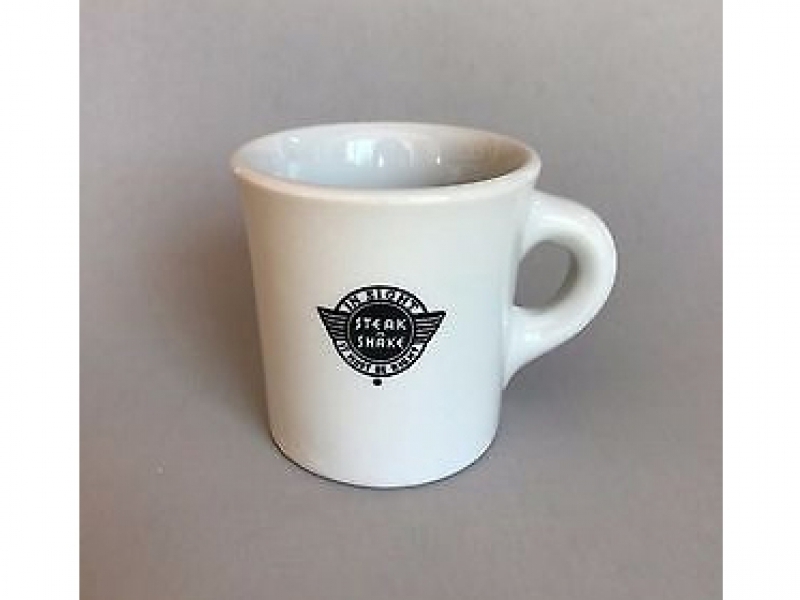 Joanne and I have owned a full set for 40 years – cups, chili bowls, plates and platters as well as glassware, all with logos. They also sell chili in a can. I haven’t tried it, but my experience with HORMEL CANNED CHILI has always been delightful. We have the full set of china. 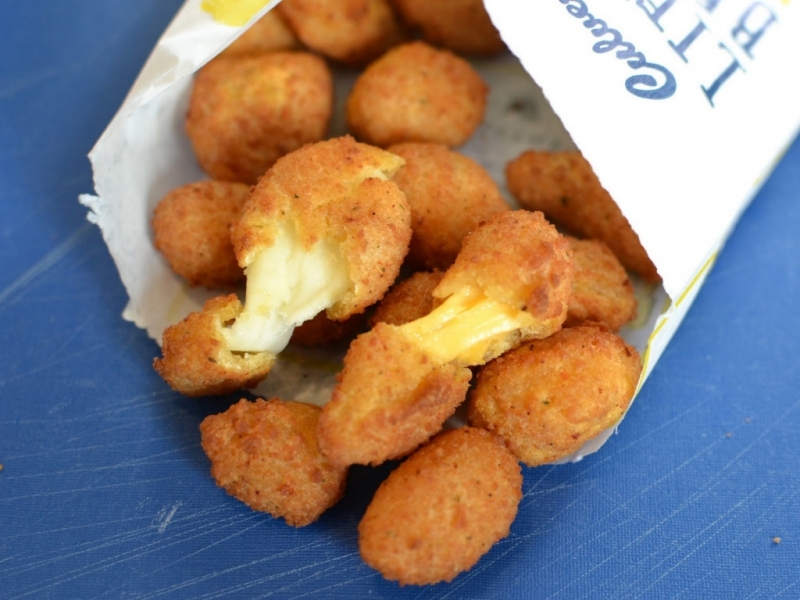 CULVER’S is another story entirely. 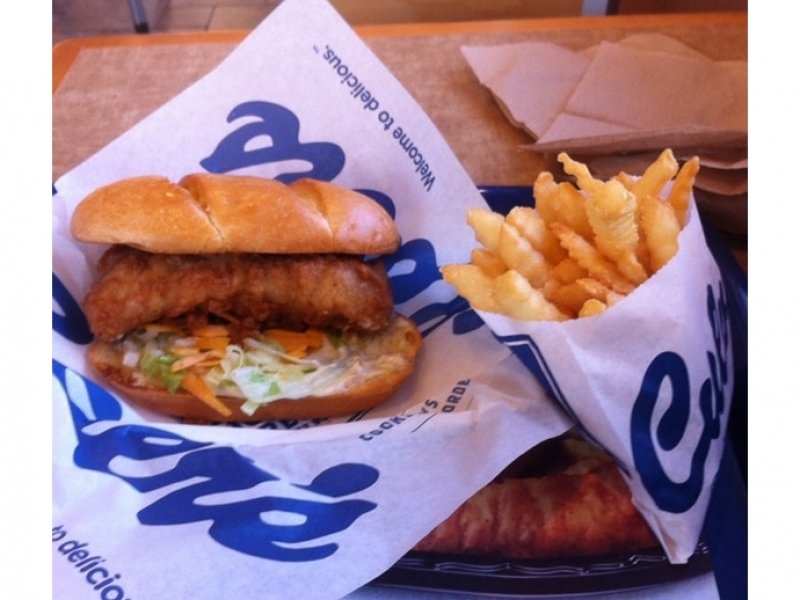 It’s the new kid on the block, founded in 1984. 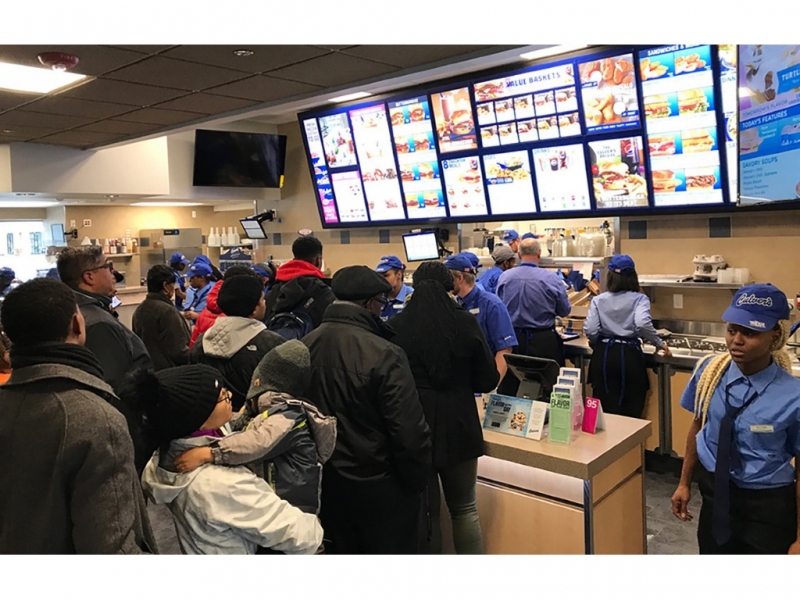 And whereas McDonald’s is fast food and Steak ‘n Shake is table service, Culver’s is a tweener – what the industry calls fast casual. 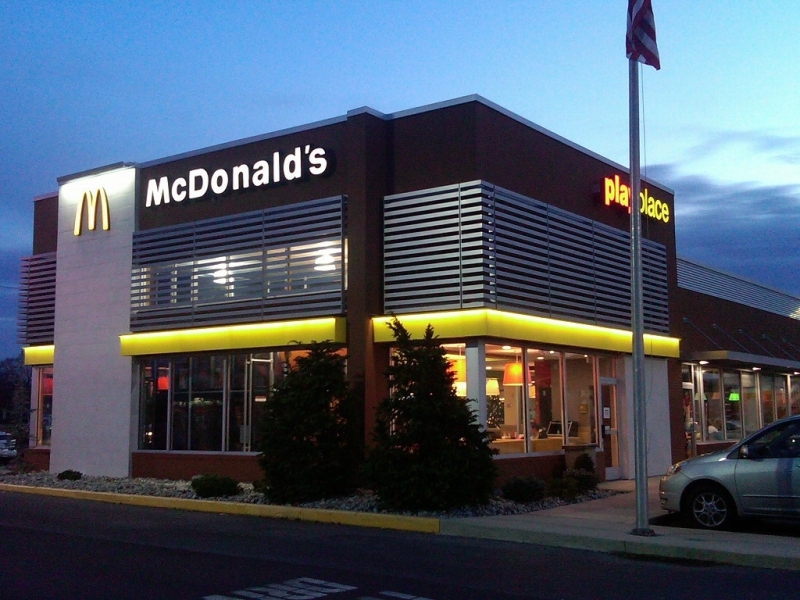 You place your order at the main counter, like Mc Donald’s, paying before you get your food. Automated ordering computers are there, but so are an army of people to all but eliminate waiting in line. 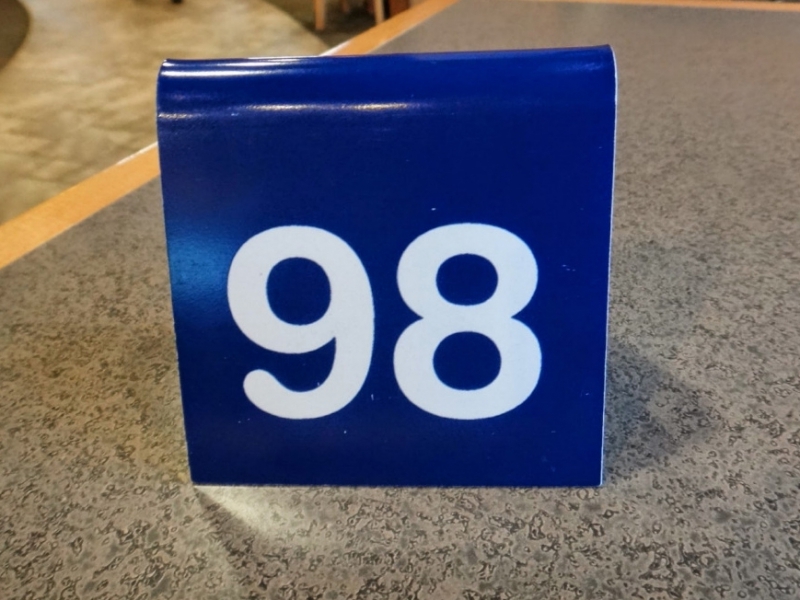 You’re issued a stand-up plastic number to set on your table and within moments your entire order is delivered. NICE. 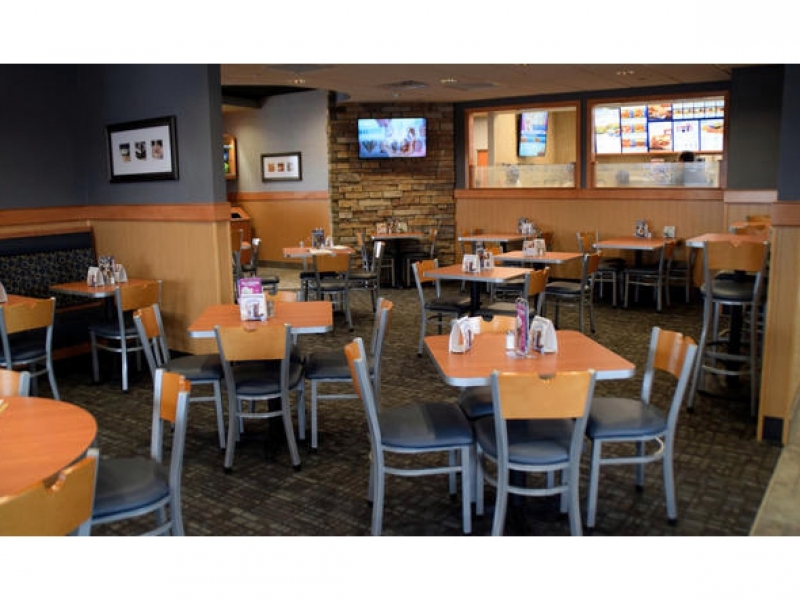 The décor is “smart casual” – warm, comfortable and stylish, nicely put together. 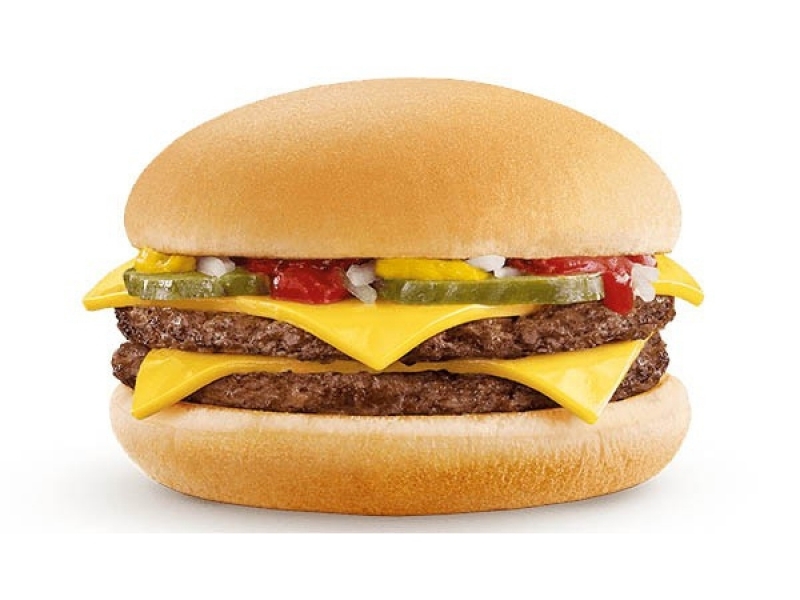 Their signature BUTTER BURGERS are large for fast casual: 5.4 ounce patties in a single, and 9.9 ounces in a double. 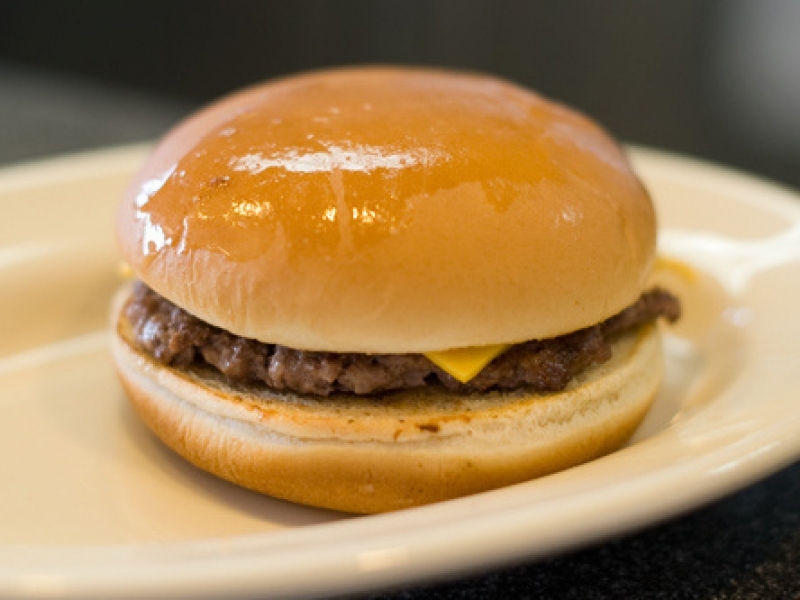 Pretty generous when the single Butter Burger sells for less than $3, and the double is priced at $4.29. 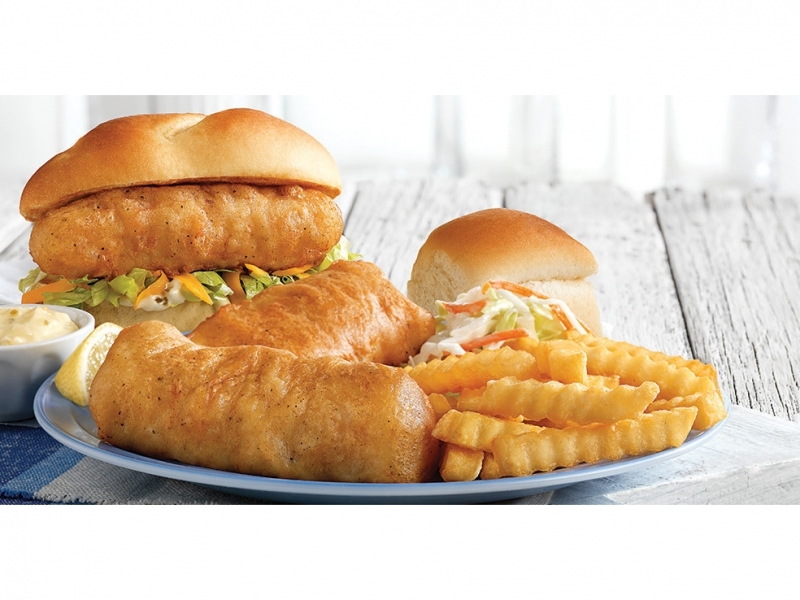 Joanne and I both had the Fish Sandwich – deep-fried crispy cod on a soft roll slathered with tartare sauce and shredded lettuce. Very good indeed. 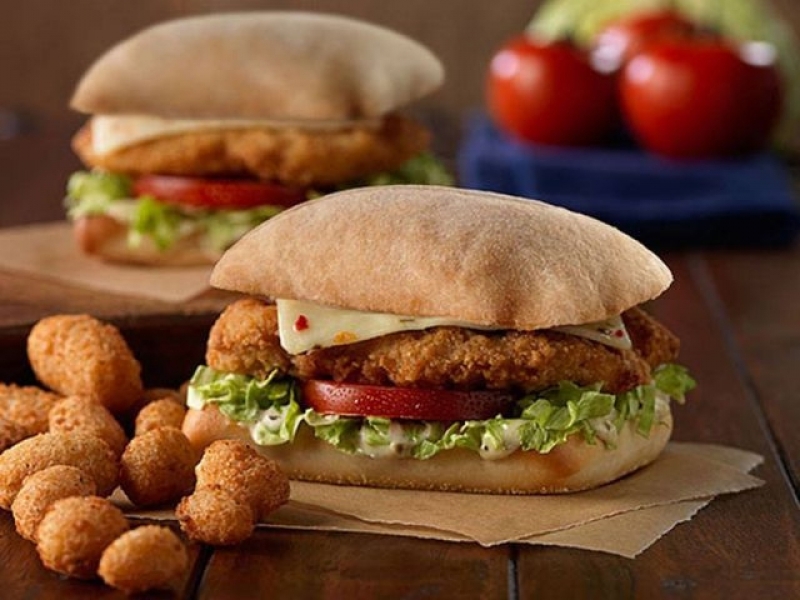 Two Chicken Sandwiches are offered – one deep-fried, the other, in a nod to healthy living, grilled. Both sell for $4.29. Ice cream and custard sundaes, shakes and “Concretes” dominate the Treats section of the illuminated menu boards. 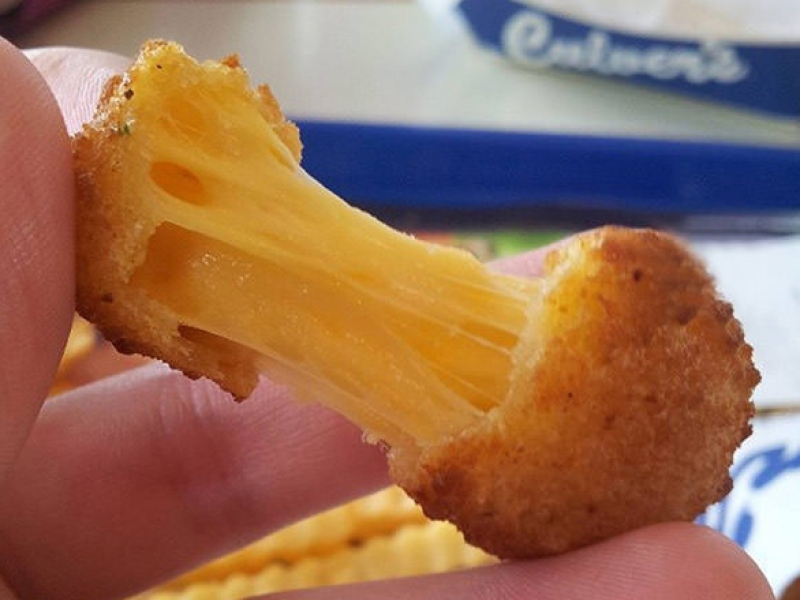 We tried ‘em all. All are deadly good. 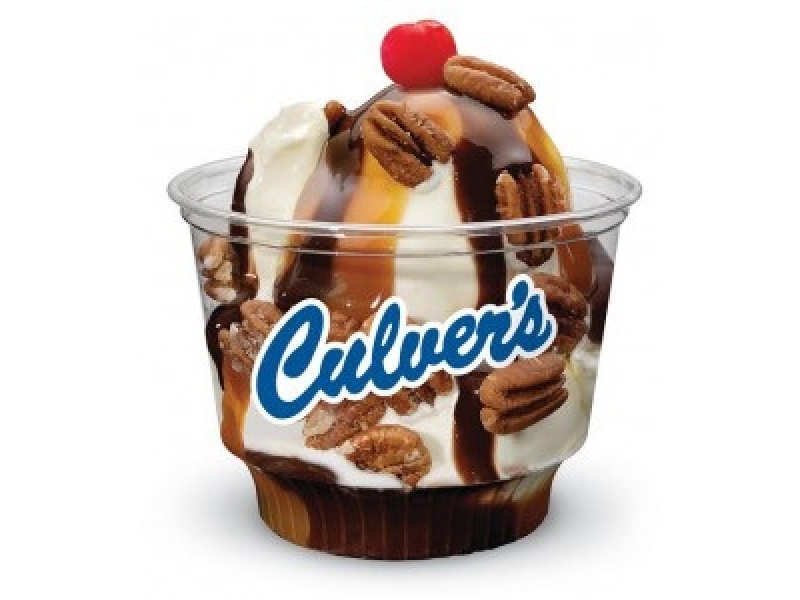 Chocolate, Caramel & Pecans ... WOW! 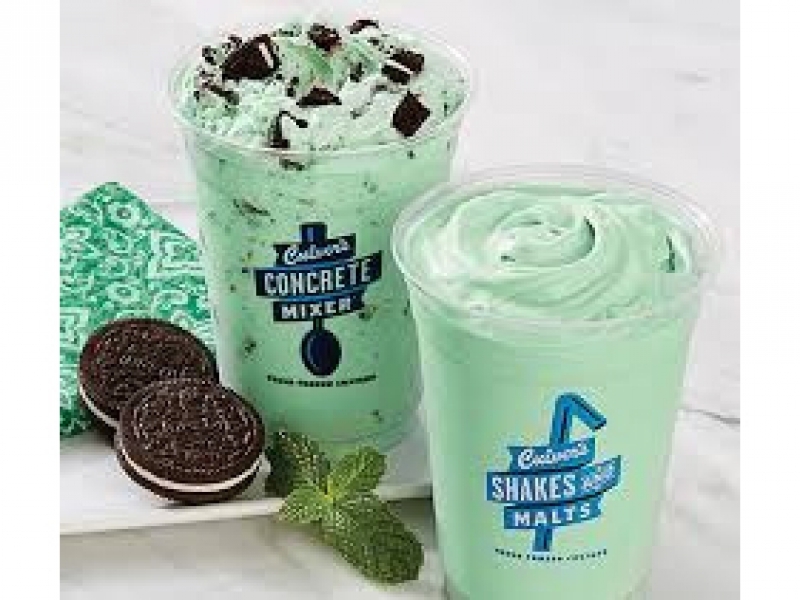 Until recently, I didn’t really understand the difference between Shakes and Concretes. Growing up, we just had malts, period. 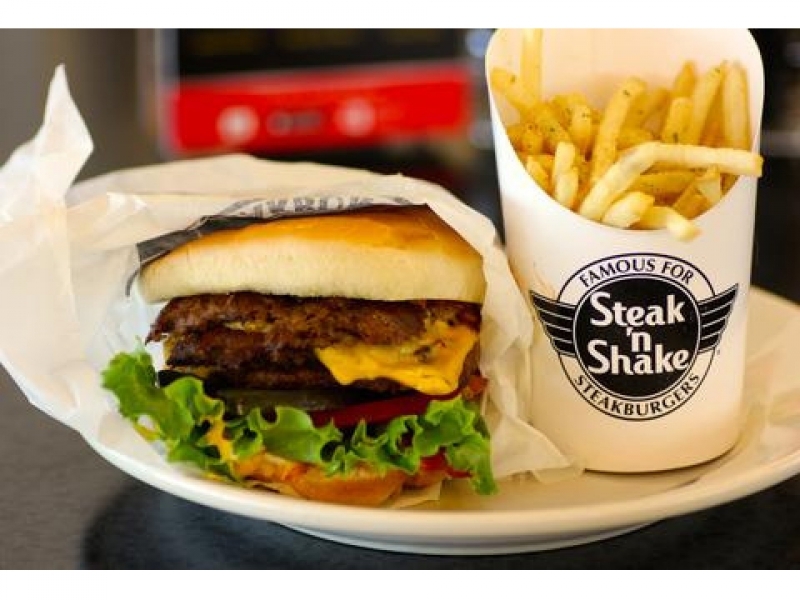 But here’s the difference: Shakes are ice cream-based and Concretes are custard-based. Consequently they’re much thicker. 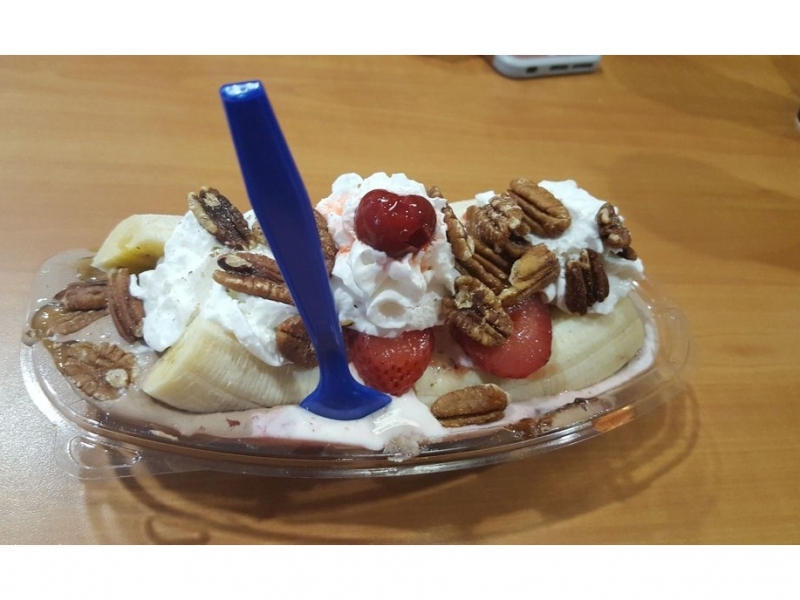 Moreover, they almost always have chunks of something mixed in – nuts, fruit, candy…you get the idea. Think McFlurries at Mickey D’s, or Blizzards at DQ. In fact, the procedure at Dairy Queen is for the counter person to demonstrate the thickness by the turning Blizzard upside down in front of you before handing it off. 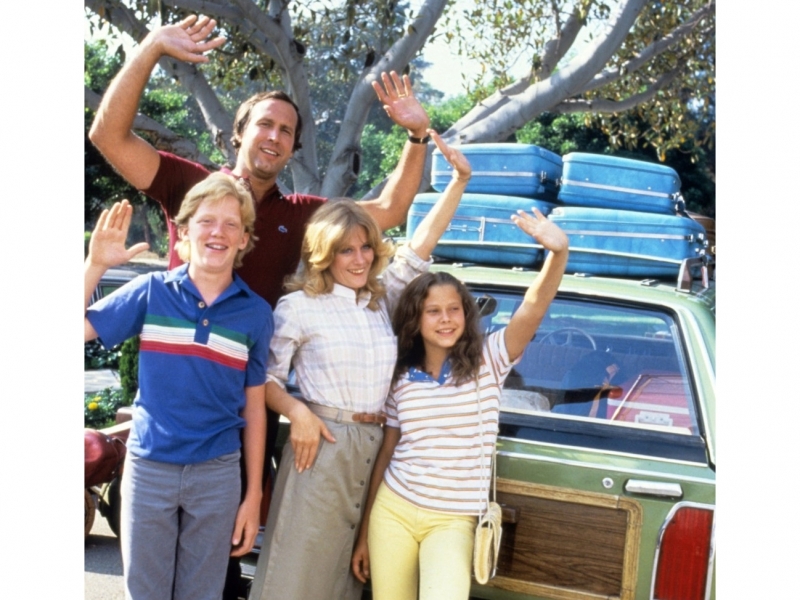 If you’re planning a summer road trip, all three are worth a try, but for different reasons. 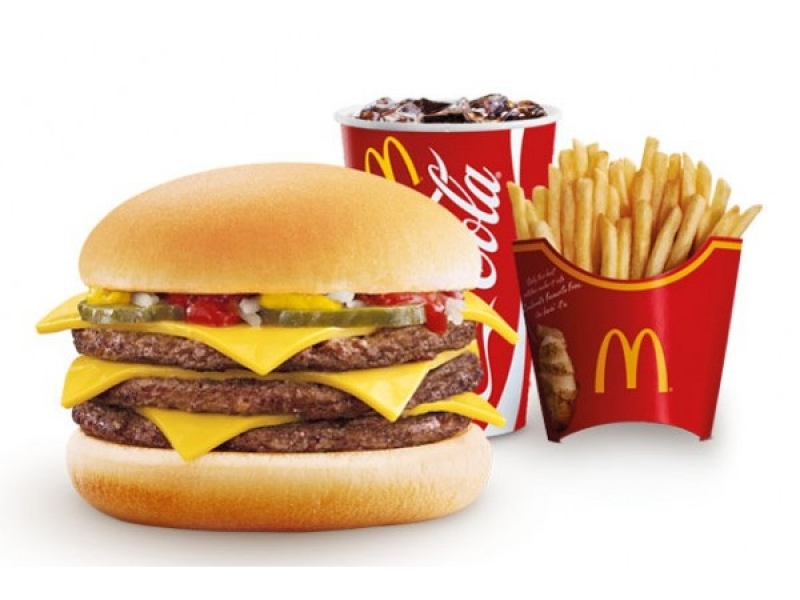 McDonald’s is fast, and also the least expensive. 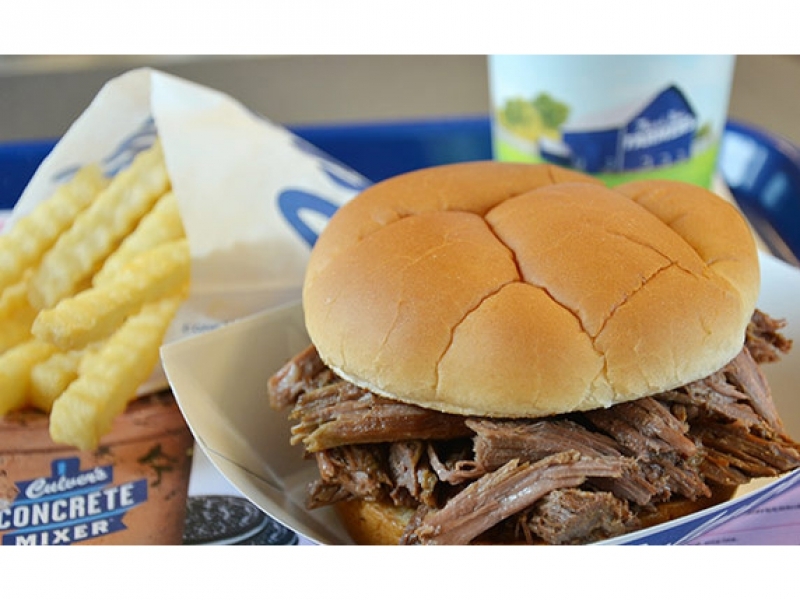 Its menu also has a broad assortment of offerings. 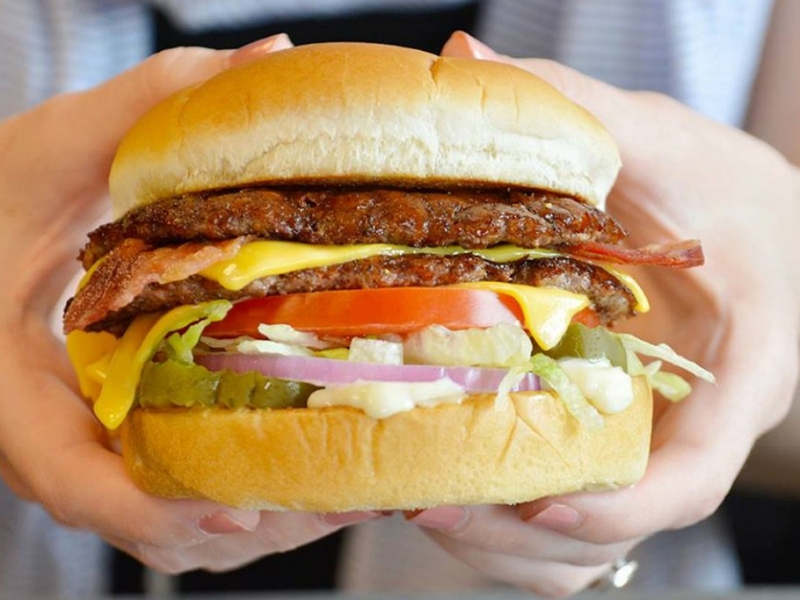 If you have a little more time and want a sit-down lunch, then Steak ‘n Shake is a wise choice, particularly if you keep it simple – a cup of chili, steak burger and a chocolate shake. 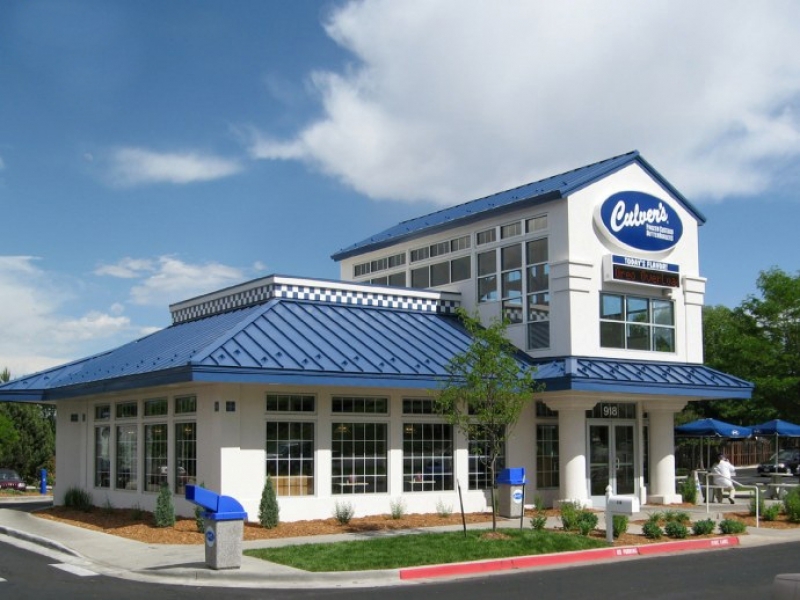 But don’t miss Culver’s. 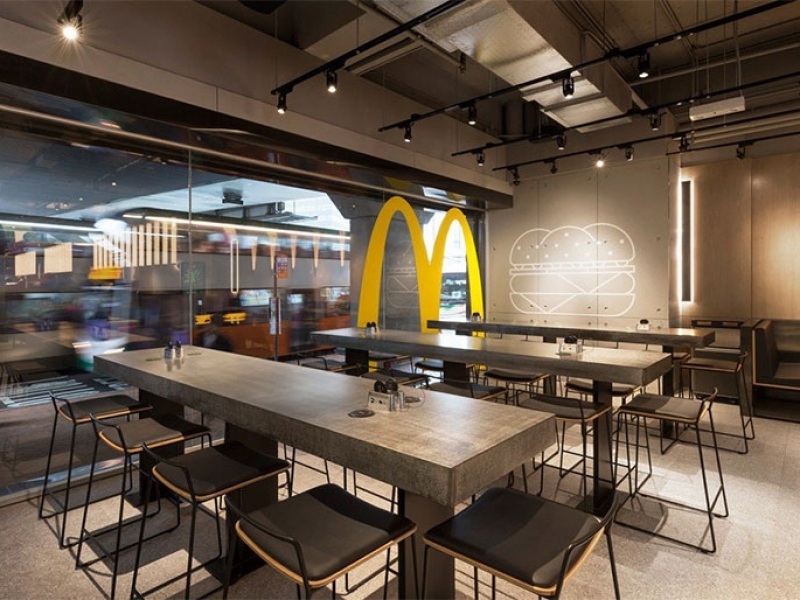 For food quality and ambiance, it’s the best of the bunch – not as fast as McDonald’s, but hardly slow. And while it’s a little more generous and bit more expensive than either, it certainly provides great value for the money. 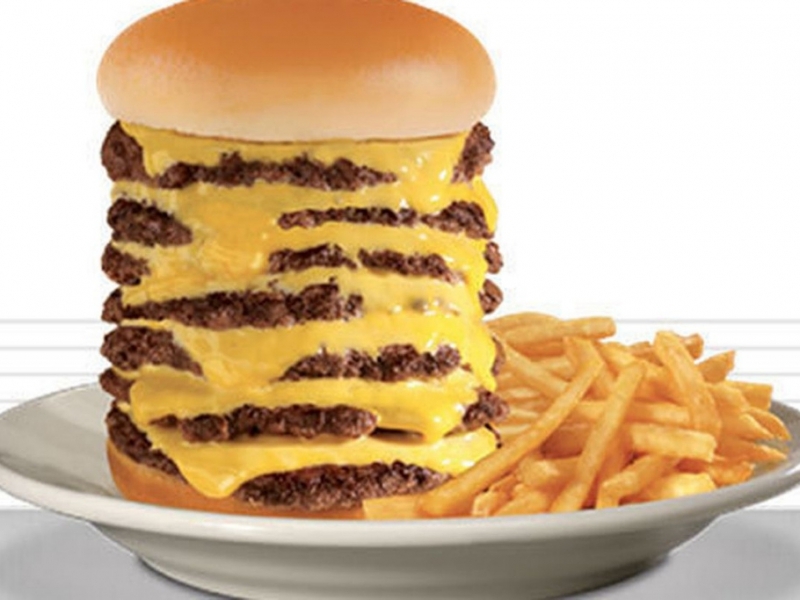 BTW, on our four-day road trip, we had one stop at Culver’s, one stop at Steak ‘n shake, and FIVE stops at McDonald’s. 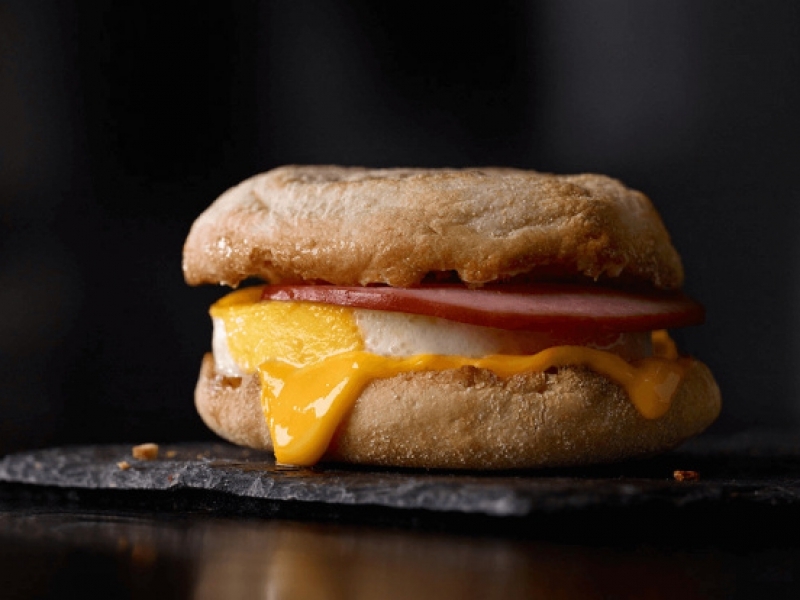 Gotta have those Egg McMuffins!